On Wednesday last week, courtesy of the recently established Young Philanthropists programme at the Royal Opera House, I had the privilege of watching a working rehearsal of the highly anticipated, new production of Swan Lake, which has been years in the planning. We were the first people, who were not staff of the Royal Opera House, to see a dress rehearsal on the main stage of this new production. 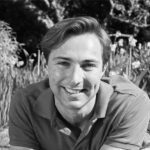 The previous Swan Lake production by Anthony Dowell, which premiered in 1987 and remained a cornerstone of the Royal Ballet repertoire for over 30 years, was not without criticism during its life. Although much loved, the set in Act III and the choice to dress the swans in long skirts were questioned. So, under Kevin O’Hare’s instruction, choreographer Liam Scarlett and production designer John MacFarlane began work on a new production of, what is surely, one of the most iconic and best loved ballets in the whole Classical repertoire. The story is well-known and the exemplary classical choreography by Marius Petipa and Lev Ivanov’s 1885 revival is ingrained into ballet students and ballet-aficionados around the world. 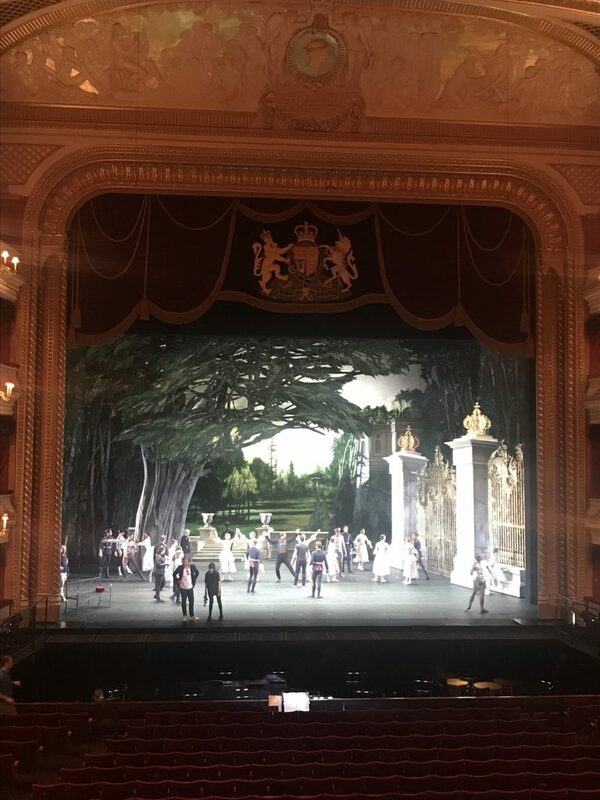 We took our seats in the Grand Tier as the members of the Royal Ballet were warming up on stage surrounded by the stunning set design for Act I. Set in the sumptuous formal gardens of a palace, immediately you get a sense of the period setting: this is set at the turn of the century, around the 1890s, at the dying age of European monarchy. The costumes are exquisite: the female dancers wear long dresses and the male dancers wear a military inspired uniform. Liam has created new choreography for Act I, which marries seamlessly with Tchaikovsky’s score, and has tried to create a background story for some of the secondary characters. As the music to Act I comes to an end, we anticipate a pause while the stage hands recreate the Act II set behind a curtain. But the music continues straight into Act II. The set starts to transform before our eyes. The effect is thrilling. Accompanied by Tchaikovsky’s magnificent score, the garden scene of Act I is miraculously transformed to the lake-side scene of Act II. Liam has returned to classical form and all the swans are dressed in tutus: the traditionalists will be satisfied. And rightly so. The lines of Petipa’s and Ivanov’s choreography are enhanced by the structure of the tutus. For Act II, he has retained the Petipa/Ivanov choreography. Unfortunately, we did not get to see the company rehearse Act III (which is probably my favourite act of the entire ballet). But as Kevin said to me, they can’t give away all of their surprises to us before opening night. Act IV continues at the lake-side scene but this time the set is abstract and bleak, reflecting the sadness of the story. The music is powerful, even when played as a Piano solo (for the rehearsal). Liam has reinstated music from the 1877 production, which was removed by Drigo after Tchaikovsky’s death for the 1895 production. In particular, the new Act IV pas de duex mimics the beginning of the Act II pas de deux, when Siegfried meets Odette for the first time. This homage is pure poetry. And with that, the ballet approaches its inevitable conclusion. It will not be too much of a surprise to reveal that there is a strategically placed rock at the rear-centre stage. In conclusion, this is a beautifully realised interpretation of Swan Lake: refreshingly new, while remaining true to its classical roots. Liam has a clear vision which is convincingly portrayed to the audience. He has an eye for detail, both in terms of the choreography and also the story, paying careful attention to Tchaikovsky’s wonderful music. The wonder of dance is that it is a language which is universally understood, no matter what native tongue you speak. I believe this production will be a huge success. And I cannot wait to see it in its entirety on 9 June. I would recommend anyone to go and see it for themselves. You will not be disappointed. And there may even be a few surprises along the way (by which I mean, watch out during the Overture and for the surprise ending…). Performances from 17 May 2018. Live cinema performance on 12 June 2018. 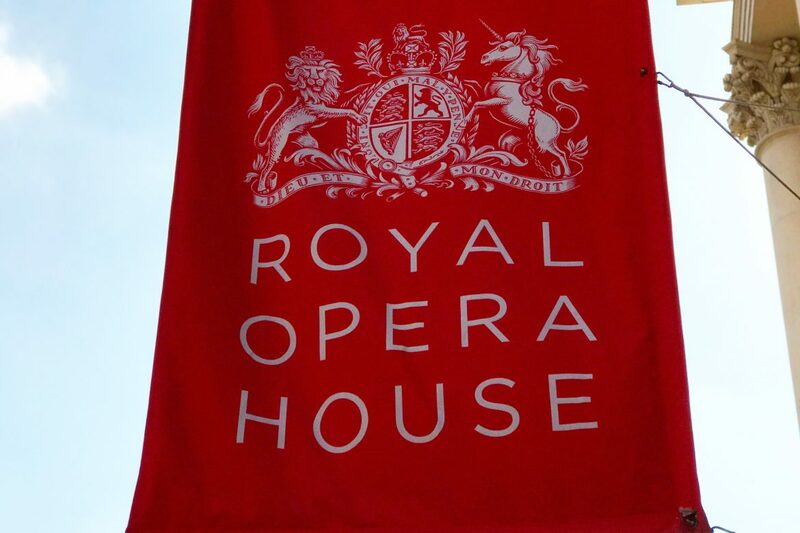 Tickets are available for Liam Scarlett’s Swan Lake via the ROH here. Samuel was born and raised in London. Passionate about theatre, opera, music and film, there practically isn't an evening he can't be found indulging in one of them.